Today, we dig into technique #1: Narrated PowerPoint. We previously mentioned that one key benefit of this technique is the ease of production. As long as you have a good microphone, then you are set. There are numerous resources that outline the exact steps for setting up your PowerPoint presentation, and recording. This article focuses on tips for getting the best results. 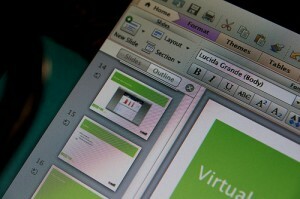 Have you used narrated PowerPoint before? We’d love to hear what tips you’ve learned.